aging pots - Kampai! : Kampai! 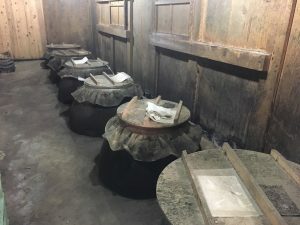 This is the first in a series of shochu reviews that will review products that we tried or obtained while in Japan in July on our Shochu Tour 2012. This particular bottle was a gift from my guide and translator’s partner, who is from Kumamoto Prefecture and is justifiably proud of this local shochu.